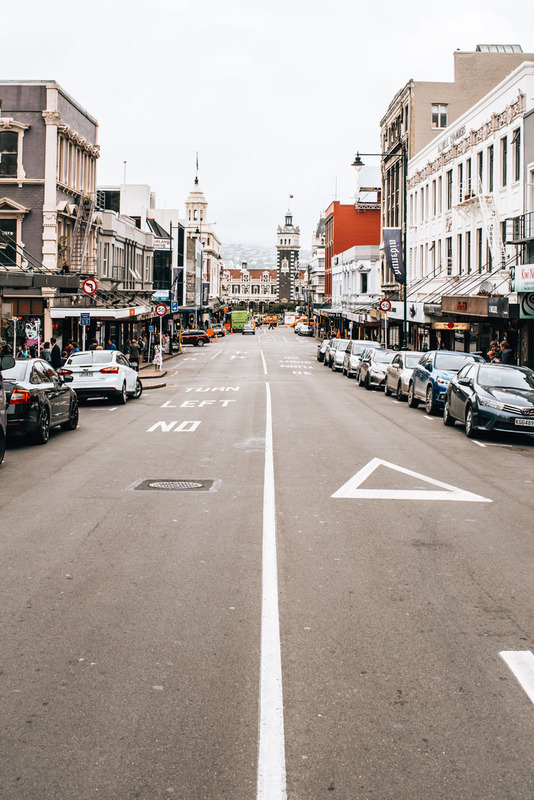 The Scottish founded city of Dunedin, located in the South Island of New Zealand, ranks as the fourth biggest city in the country and is definitely worth a stopover. We have been here twice now and have to say that it’s very rare for us to find a place in NZ where we feel as if we were on European soil. 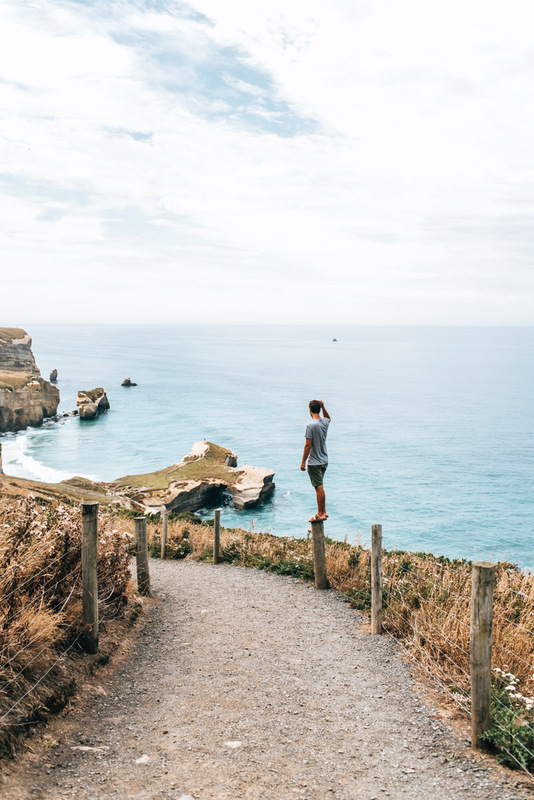 Best of all, Dunedin is a perfect base from which to explore the incredibly scenic Otago Peninsula. City and nature are very close together and that’s what makes the region so special. 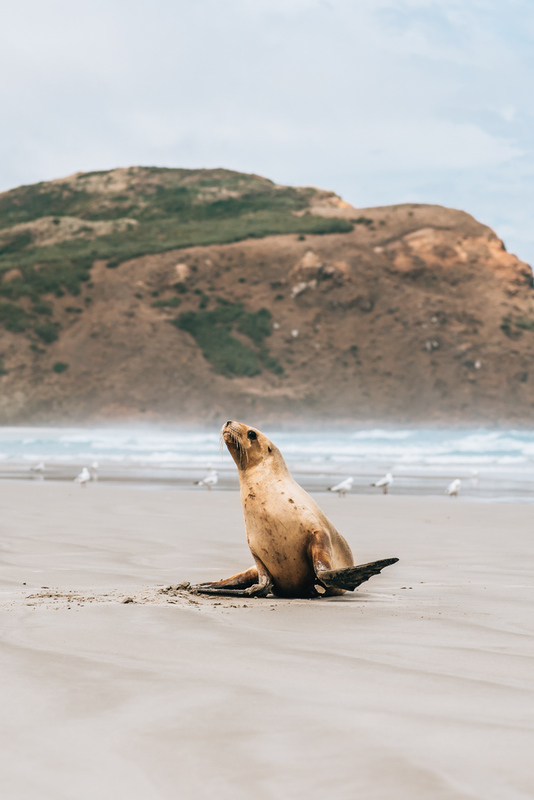 In this blog article we tell you which sights and attractions you should not miss when visiting Dunedin and the Otago Peninsula. Dunedin is not called the “New Zealand Edinburgh” for nothing. The city was originally founded by Scottish settlers and their presence is eminent, especially in the architecture. One building in particular, which immediately reminds us of Scotland, is the Railway Station in the centre of Dunedin. This city isn’t so much about the number of sights, which can easily be seen in the city centre – but rather the flair and atmosphere of the city. Dunedin is very young thanks to the large number of students who come to study at the University of Otago. 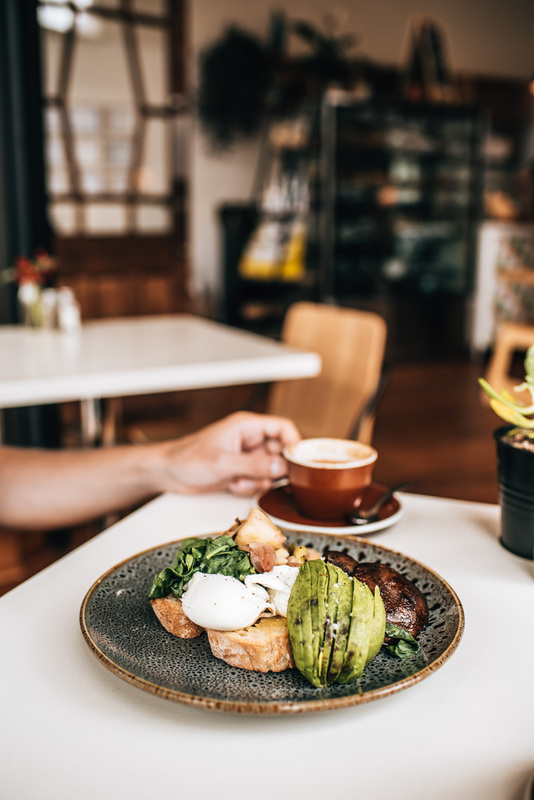 In addition, there are plenty of great cafes and in the evenings, there is often a lot going on, especially around the Octagon. 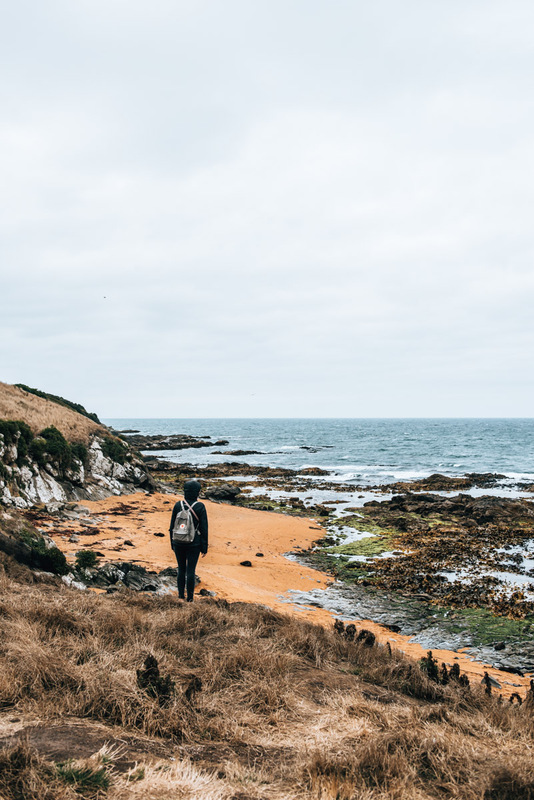 Dunedin is also perfect for exploring the Otago Peninsula. 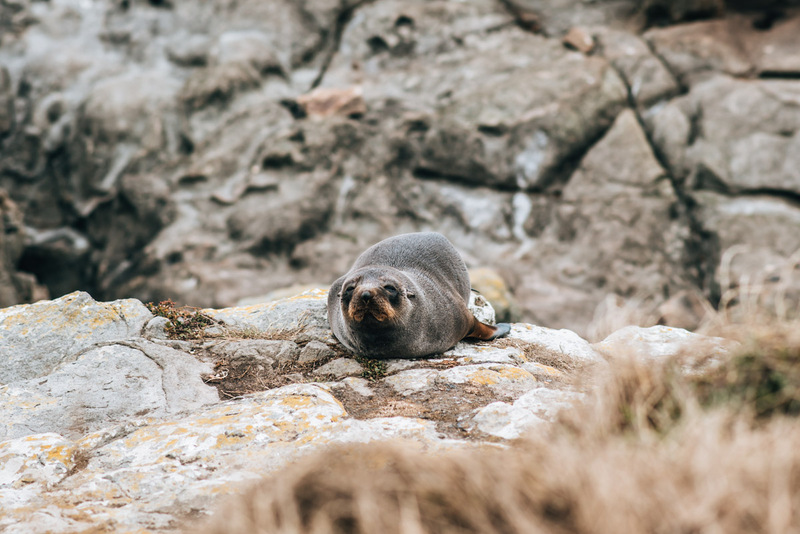 There you can admire the fascinating wildlife of New Zealand up close, including seals, sea lions, penguins and albatrosses. By the way: If you have always wondered how Dunedin is pronounced – here is our syllable breakdown: Duh-nee-din. 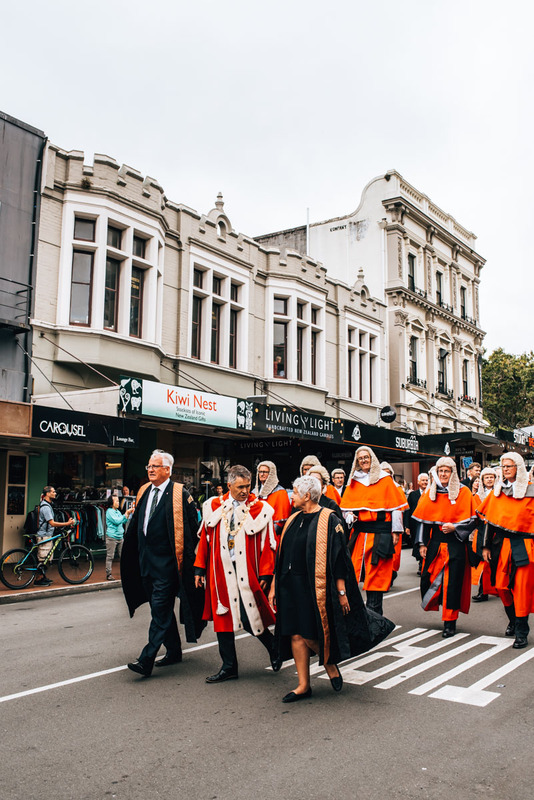 We got ourselves quite a few funny, confused looks at our initial mispronunciation until we finally figured out how to pronounce Dunedin correctly. 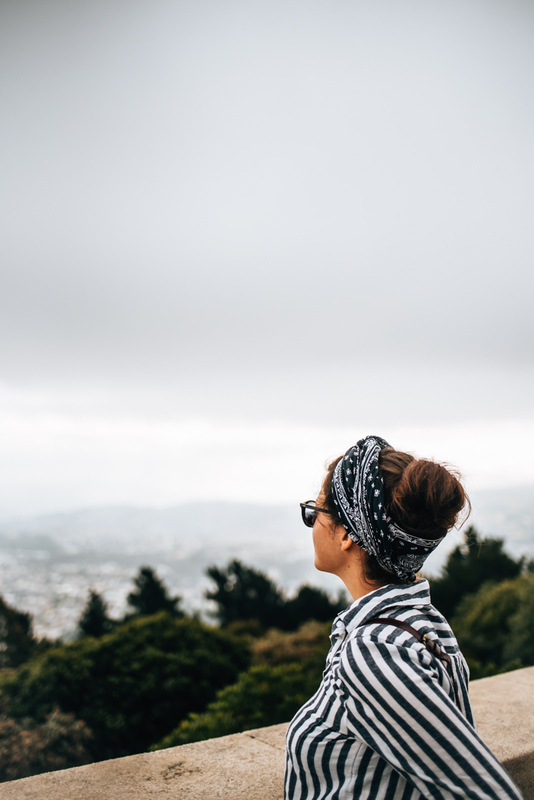 How much time should I plan for Dunedin and Otago Peninsula? 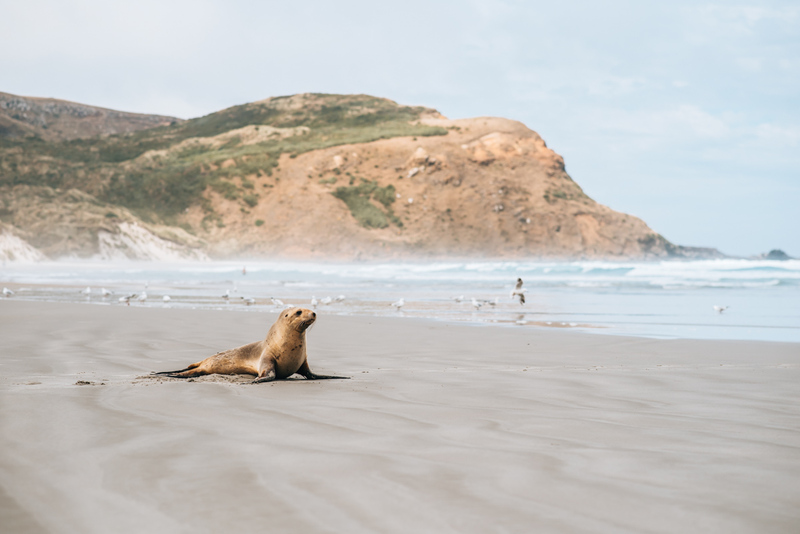 If you want to explore Dunedin and the Otago Peninsula as stress-free as possible, then we recommend that you plan for three nights. 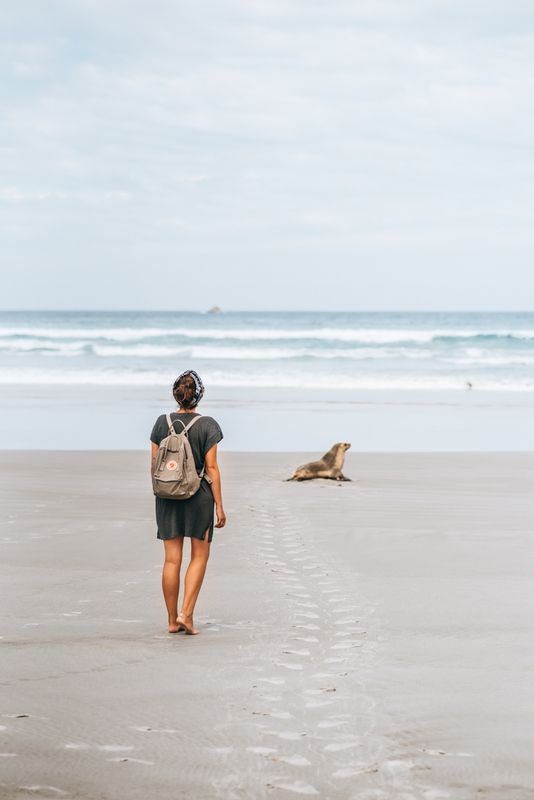 That way, you have enough time to explore Dunedin as well as the Otago Peninsula. Of course, you can also explore a lot in just two nights. 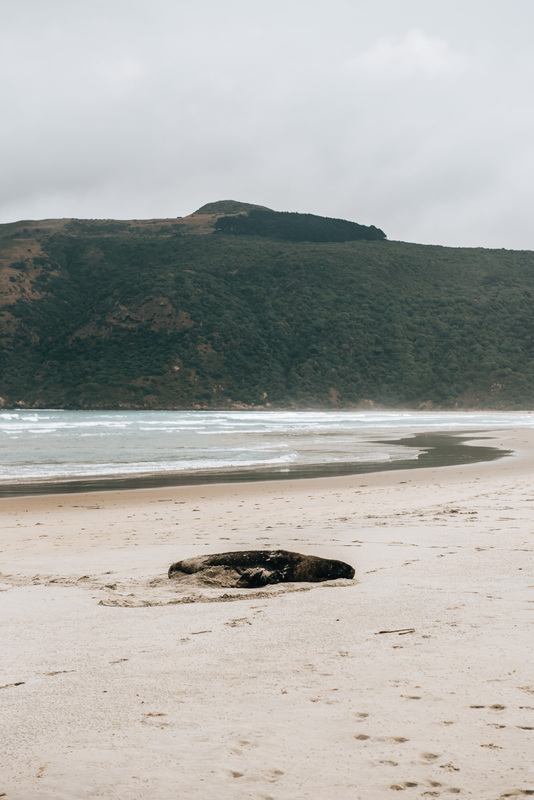 We ourselves spent three nights in Dunedin on both our trips to New Zealand. 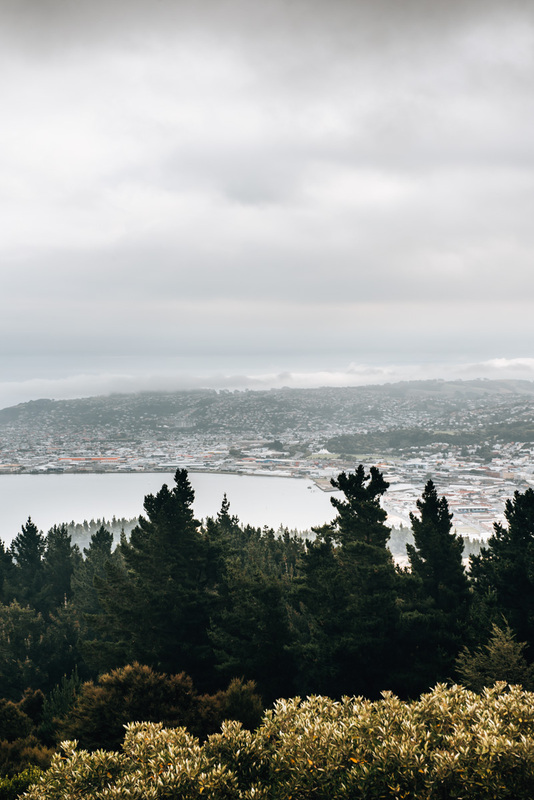 In the north of Dunedin you will find the most famous viewpoint of the city: Signal Hill. Despite only being at an altitude of 400 meters, you have a beautiful view of Dunedin and the sea. We liked this spot very much, even though the weather wasn’t so great. We would recommend you to come at sunset, when the light and the mood is at its best. To get here, you can easily drive up the winding road to Signal Hill or you can walk it. Also in the north of Dunedin, not far from Signal Hill, is Baldwin Street. It is the steepest inhabited street in the world. At its steepest point, the slope measures an unbelievable 35%. You can either walk the street or drive up. However, the latter we would only recommend if you a have a reasonably strong car with low gears. Baldwin Street itself is only a few hundred metres long and, apart from the slope, it’s not that exciting. Nevertheless, still worth a stopover in our opinion. 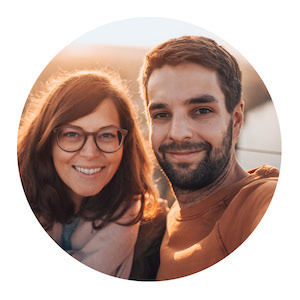 However, it must get rather annoying for the residents of Baldwin street to have random people visiting the otherwise quiet residential area and taking pictures of their street and homes. There are numerous Scottish buildings throughout the city. The most noteworthy ones in our opinion are in the three following locations. 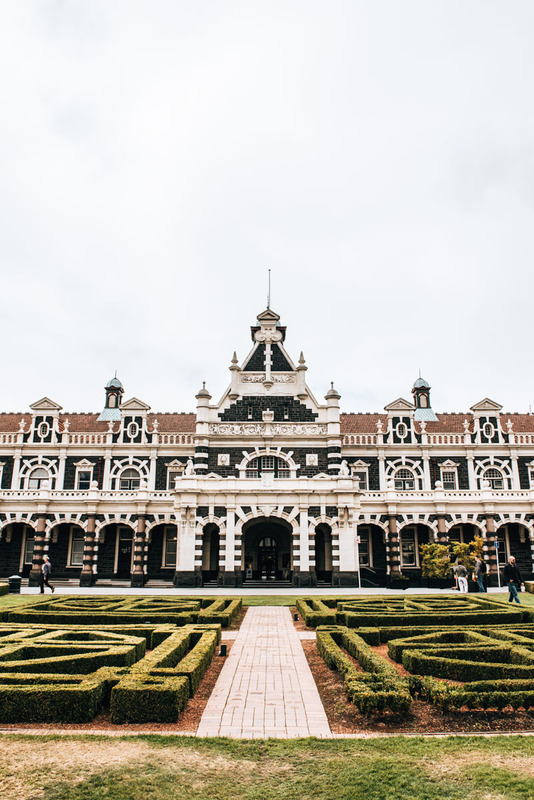 One of the most beautiful (if not the most beautiful) buildings in the city is the old train station (“Dunedin Railway Station”), which is basically in the city centre. Today it is hardly used anymore, but in terms of both the interior and exterior designs, it’s a piece of art. The “Octagon” is – as the name already suggests – an octagonal shape and it seems to be the main square of Dunedin. 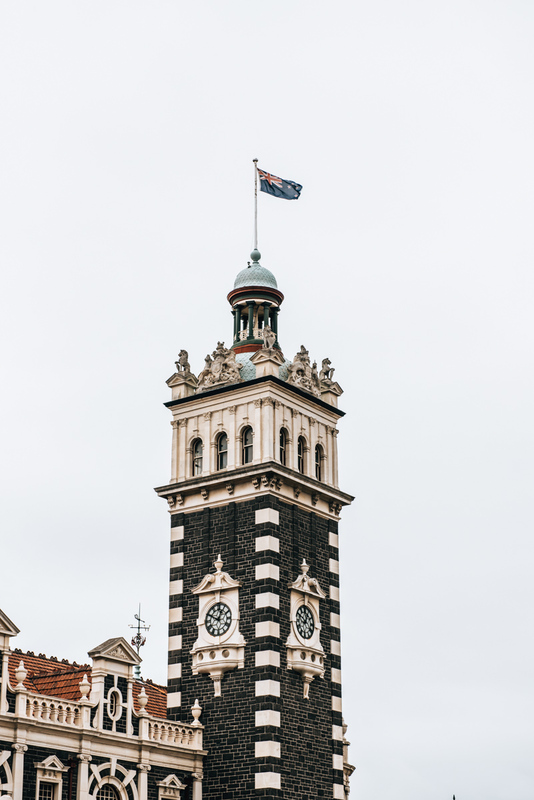 Here, you will also find some nice buildings such as St. Paul’s Cathedral or Dunedin Town Hall. From the Railway Station, the Octagon is only a few minutes walk away. Also very worth seeing is the University of Otago. 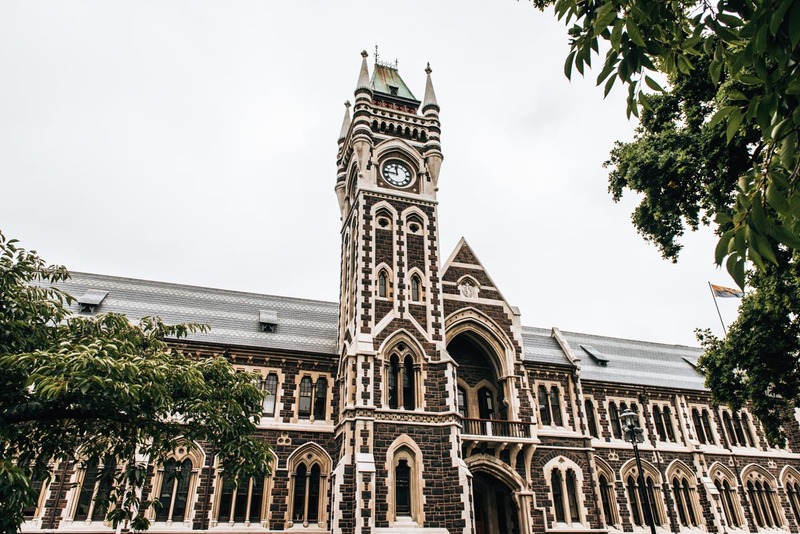 It is New Zealand’s oldest university and the reason why Dunedin’s downtown area retains its relatively young atmosphere is due to the 20,000+ students who come from all over the country (and the world) to study here. 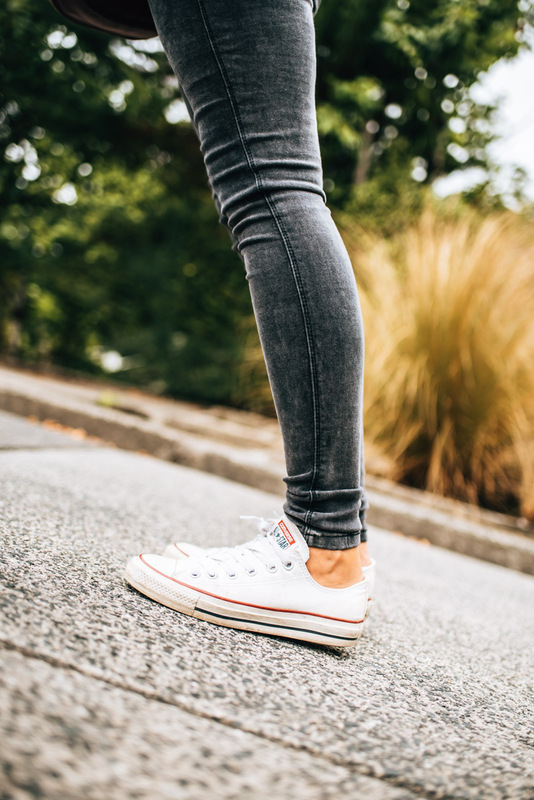 We can highly recommend a walk around the University campus as it’s located just north of the city centre, about a 20-minute walk from the Railway Station. 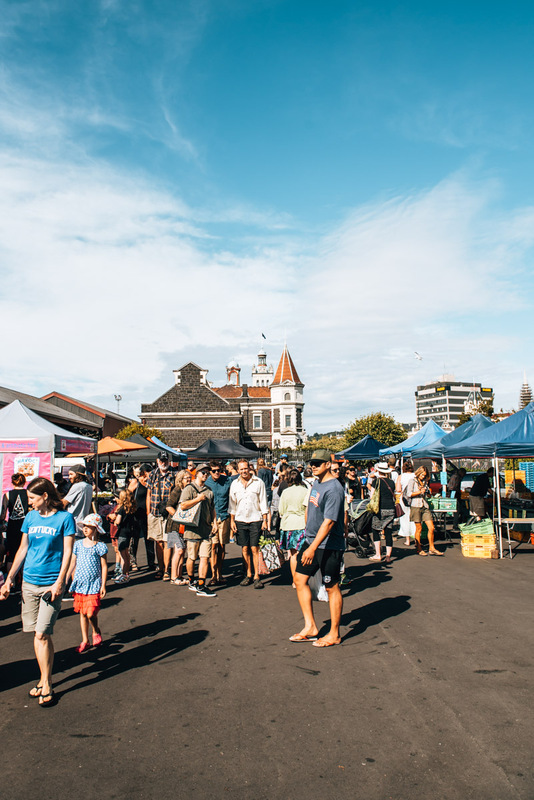 New Zealand is well known for its farmers markets, which are always held on weekends. In fact, you will find them in most areas throughout the country. Those of you who knows us, will know that we would not miss the opportunity to experience this! We especially enjoyed the Otago Farmers Market in Dunedin. 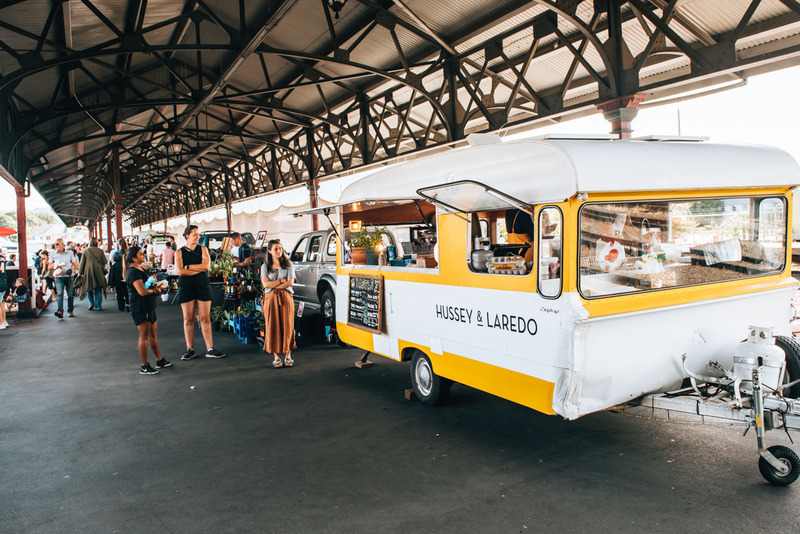 It takes place every Saturday from 8am to 12:30om – right next to the historic Train Station. At up to 75 market stalls you will find plenty of delicacies here. Not only are fresh fruits and vegetables sold, but they also offer freshly made bagels, pies, falafel and, of course, sweets and baking. Free parking spots can be tough to score, usually the earlier the better but we got lucky and found a parking space near the market. About 15 minutes drive south of downtown Dunedin is one of New Zealand’s most spectacular coastal gems: Tunnel Beach. From the car park, there is a relatively steep path that leads down to the beautiful rugged beach. The walk takes about 20 minutes to get to the bottom. 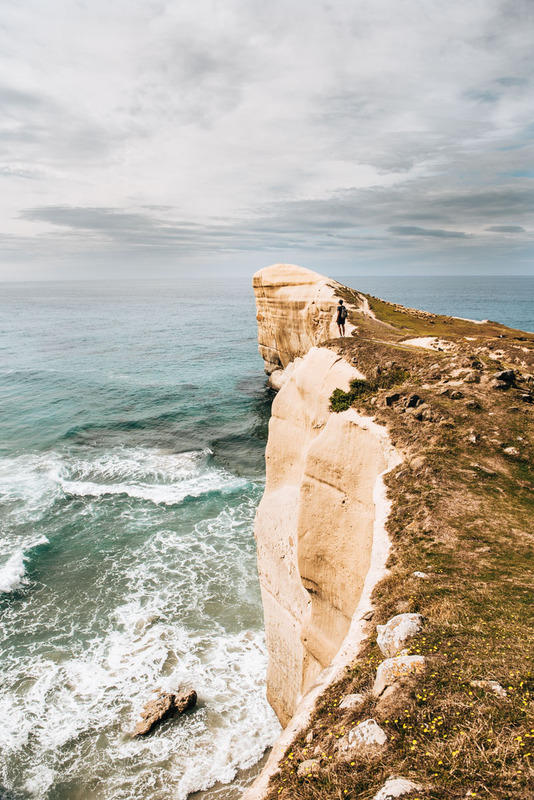 If you are feeling adventurous, there is a dark narrow tunnel that will bring you down the last few metres to the actual beach (hence the name Tunnel Beach). At low tide you can walk along the beach here, but even at high tide the place is just as impressive. Overall, we would recommend that you allocate at least 1.5 hours to visit, the photo opportunities here are fantastic. Depending on your fitness, going back uphill does take a bit longer. 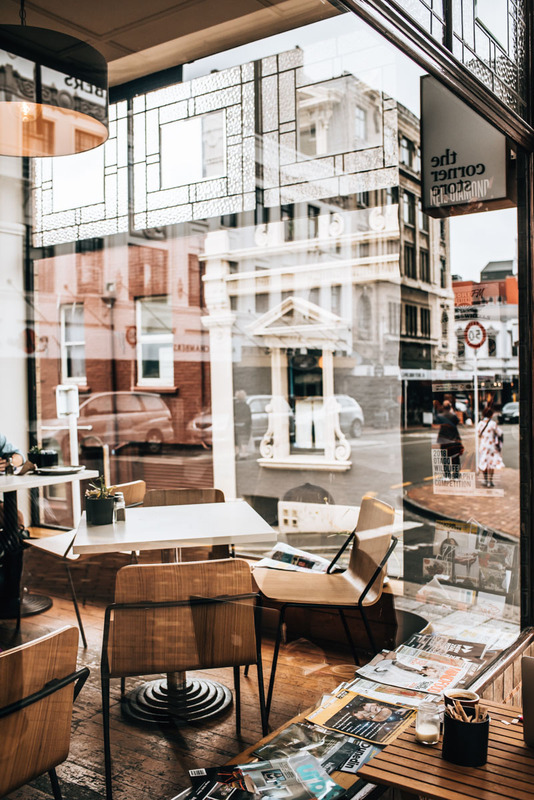 There are plenty of hip cafes in Dunedin. You will find many cool eateries especially along Stuart Street, between the Octagon and the Railway Station. Our favourite cafe was “The Corner Store”. It serves breakfast & brunch seven days a week. The menu is typically “hipster” with the right amount of creativity. We had breakfast there and were very pleasantly surprised at the quality of the food. Apart from that, the interior design is also pretty cool. We have now been to the Otago Peninsula twice, on both our NZ visits and each time we took a full day to explore. The distances from Dunedin to the Otago Peninsula is over an hour so we would recommend going by car. 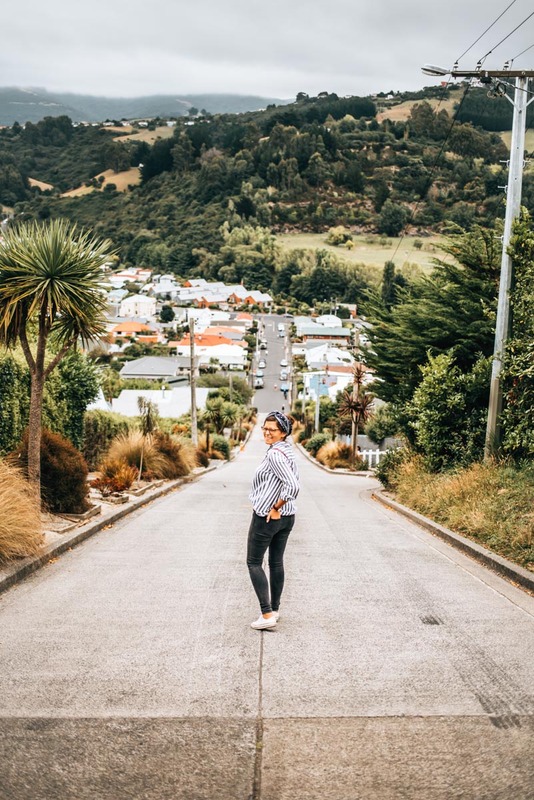 We spent our entire New Zealand trip travelling with our own vehicle and it’s something we would strongly recommend as public transport is not really a thing in NZ and because only then do you have full flexibility to make the most of your holiday here. We booked ours through Sunny Cars. One of those places that impressed us most on our first trip to New Zealand was Sandfly Bay. We stumbled across this beach by chance and spontaneously made our way through the sand dunes down to the beach. And what awaited us at the bottom? For the first time in our lives, we saw seal lions close up! 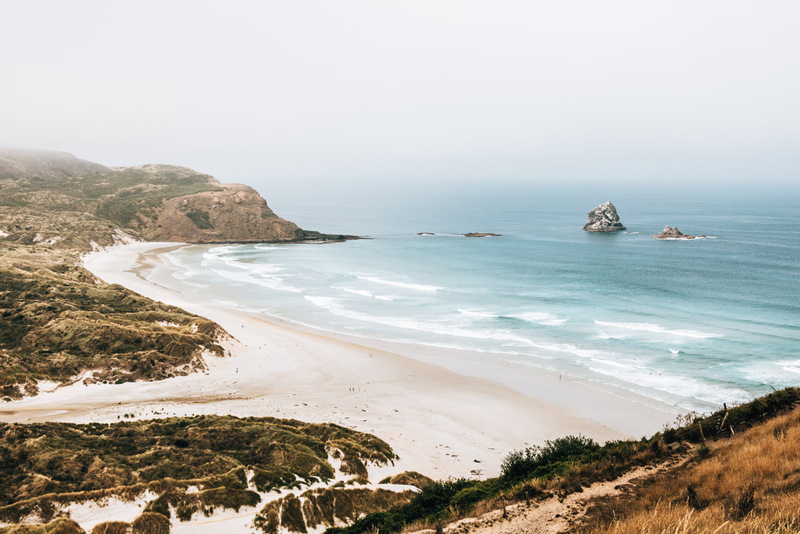 The Sandfly Bay is for us the epitome of the wild New Zealand. The combination of sand dunes, strong currents and wildlife just has something magical. If you want to visit Sandfly Bay, you first have to descend the steep sand dunes and then, of course, climb up again. A little tip: If you have come all the way down to the beach, then definitely go right to the very end. On both occasions, we were able to witness a huge sea lion colony at the eastern most point. By the way, Sandfly Bay did not have its name derived after the pesky little blood sucking critters (sandflies), of which there are too many in New Zealand. The naming would be logical, but it’s not the real reason. Instead, the beach gets its name from the occasional strong winds that swirl up the sand and fly them across the sand dunes. How do I get to Sandfly Bay? From the centre of Dunedin it takes about half an hour to get to the car park. The road will take you over Highcliff Road and then over Seal Point Road. You can park your car directly at the parking lot. The estimated 15-minute walk from the car park down to the beach starts on ordinary dirt road and then half way down, turns into a mountain of sand. The walk back up is a lot more exhausting, because naturally you would sink into the sand and repeatedly slip over. Depending on the temperature, this can be relatively exhausting, but nothing that an average fit person can’t do. Seriously… it’s so worth it! Allans Beach is much more accessible than Sandfly Bay. From the car park, you are just a short 3-minute walk away from this secluded beach. Again, you have great opportunities to observe wild sea lions. The scenery is not quite as spectacular at Allans Beach as at Sandfly Bay, but of course the beach is still very pretty. How do I get to Allans Beach? From Sandfly Bay it is just a 20 minute drive to Allans Beach. You drive back to Highcliff Road. Follow this road to Portobello and turn into Allans Beach Road. You can park your car in the parking lot. From there it is only a 3-minute walk over flat terrain to the beach. At the northernmost tip of the Otago Peninsula, at Taiaroa Head, lives the only mainland Albatross colony in the world. To be honest, we personally don’t get very excited about birds. BUT: When such an albatross suddenly hovered over us, we admittedly became a bit more humble. About 3 metres is the wing span of an albatross. How big these seabirds really are, can only be appreciated when you see them with your own eyes. At the Royal Albatross Centre you can book different guided tours, including ones where you get to see the little blue penguins. 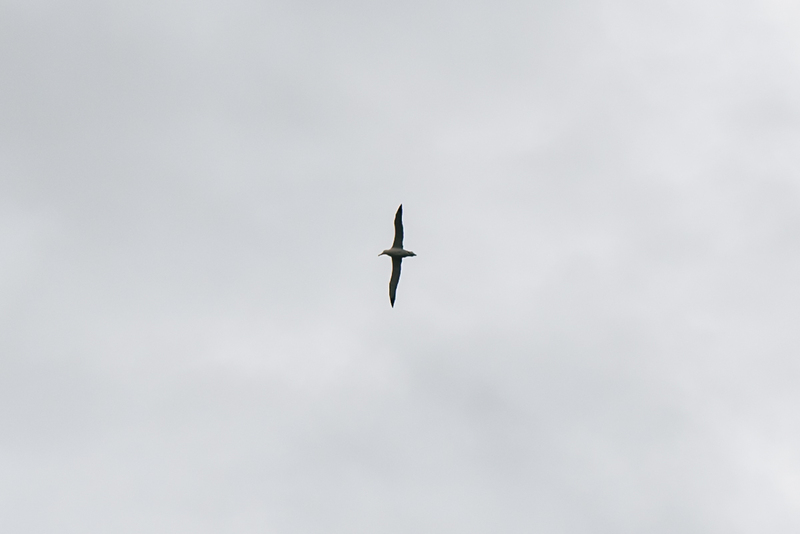 We decided against a guided tour because, although you may not be very close to the the Albatrosses, you can see them flying in the sky without a guide. In the north of Dunedin are two very worthwhile destinations for a day trip. If your itinerary passes by anyway (because you’re coming from Lake Tekapo), then stop by here. 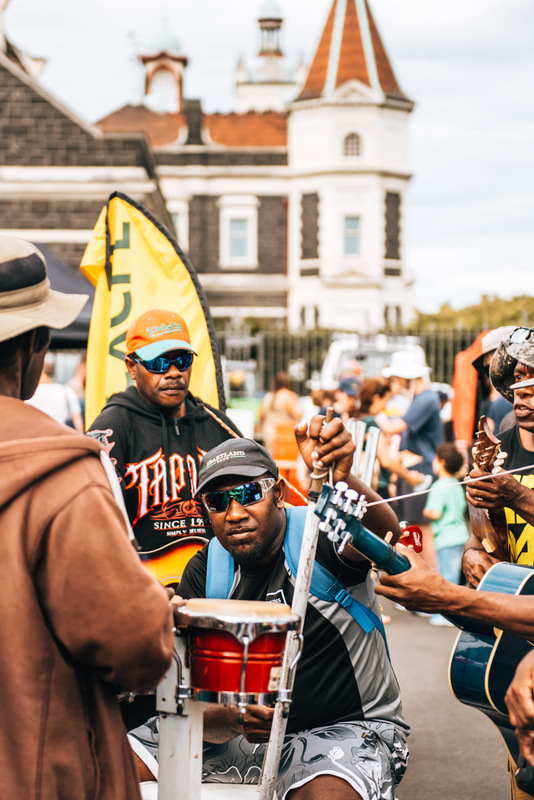 If not, we still think it’s worthwhile making a trip from Dunedin – assuming you’ve already visited the main highlights in Dunedin and the Otago Peninsula. 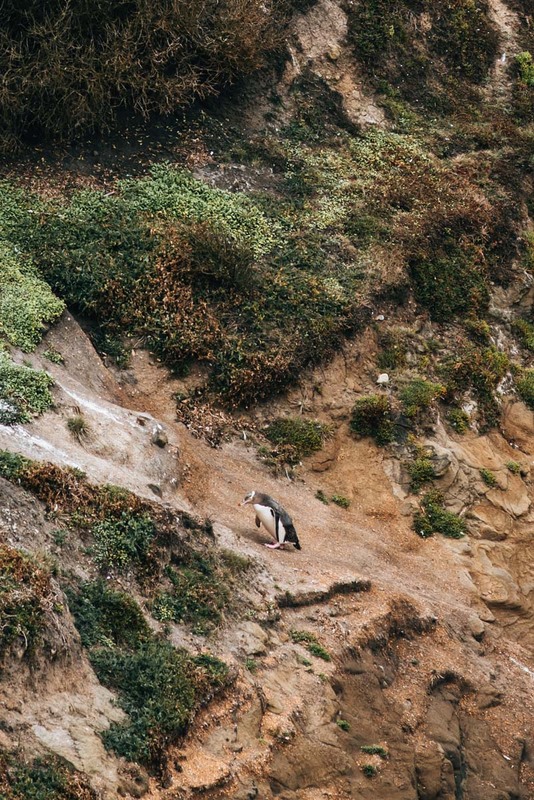 About an hour’s drive north of Dunedin is Katiki Point, a spectacular headland known for its wildlife viewing. It takes about 10 minutes to walk from the parking lot along the rugged coastline. Almost with certainty will you be able to spot countless seals and sea lions here. We saw more seals here than anywhere else in New Zealand and to keep up our lucky streak, we even saw two penguins. Remember to respect these animals though by keeping a good distance away. 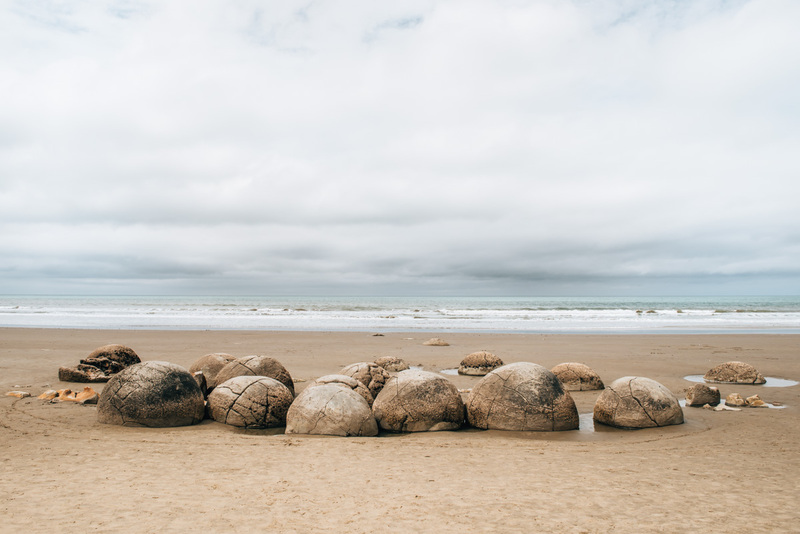 From Katiki Point, the famous Moeraki Boulders are only about a 10-minute drive away. From the car park, a short walk leads you directly to the beach, where you can admire the famous spherical rock formations. Small warning: We were amongst a huge crowd of tourists here. Keep in mind that the Moeraki Boulders are anything but a secret. We stayed for three nights in Dunedin and used that as our base as we explored the area and Otago Peninsula. 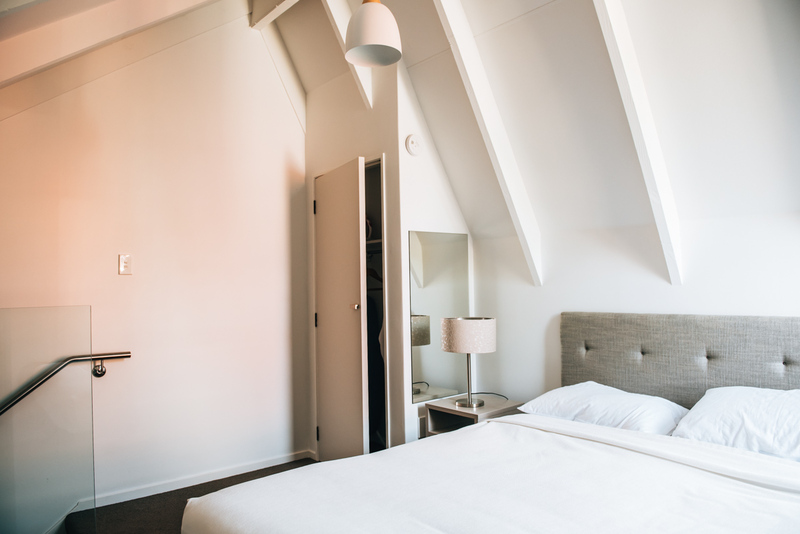 We can highly recommend our accommodation to you: Aria on Bank is a motel that is, compared to many others in New Zealand, very modern. The apartments are two-storey, with the bedroom on the upper floor. Personally, we thought that was great, but of course for some it may be less ideal. On the ground floor is the bathroom and a small living area with kitchenette (Hot plates are only in the more expensive apartments). The motel is located a little further away from the city centre. On foot it is almost a bit too far: you walk about 30 minutes to the railway station. We did most of our sight-seeing in Dunedin by car and found that parking was relatively easy in the city centre. 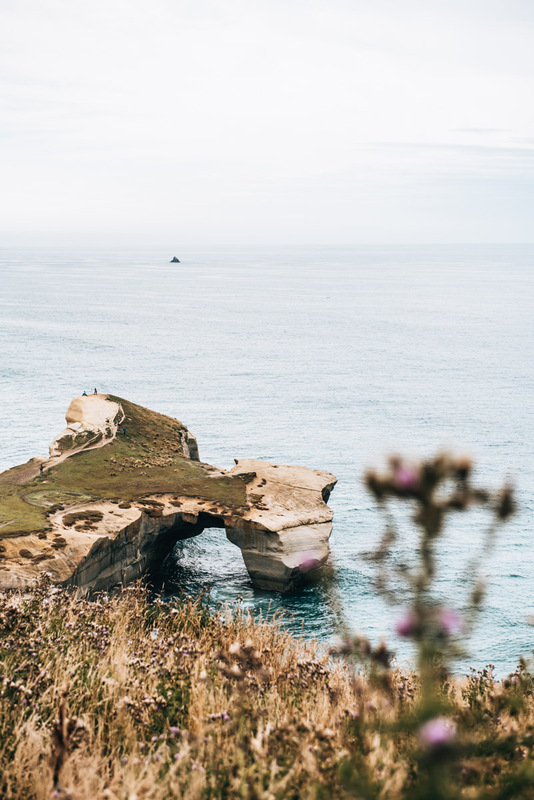 Have you been to Dunedin or the Otago Peninsula? We look forward to your comments and experiences!